At this point in his career, hearing that Michael Phelps won a gold medal is about as surprising as hearing that Donald Trump said something crazy, or that kids don't trust ugly people. It'd take something truly extraordinary to stand out among Phelps' myriad Olympic accolades, right? Like, say, breaking a record that's stood for upwards of two millennia? 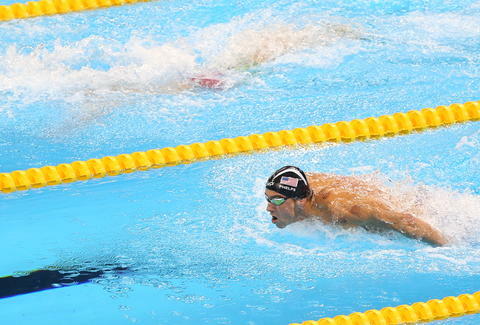 Well, after winning his 13th individual gold medal in the 200-meter individual medley last night, Phelps did exactly that. According to The New York Times, the previous record of 12 individual Olympic crowns was held by an ancient Greek named Leonidas of Rhodes, who competed in (and won) three separate types foot races over four Olympics, from 164BC to 152BC. Again, to reinforce just how long ago this was, one of those races involved running while carrying a 50lb shield and wearing a suit of armor. As icing on the cake, Leonidas was 36 years old when he won his 12th event -- five years older than Phelps when he clinched his 13th. Maybe there's something to that cupping B.S. after all?